In addition to photos, Garland also reportedly has contemporaneous diary accounts of the alleged abuse. The Daily Caller reports that Obama, Sisolak, and Rosen did not return its requests for comment. 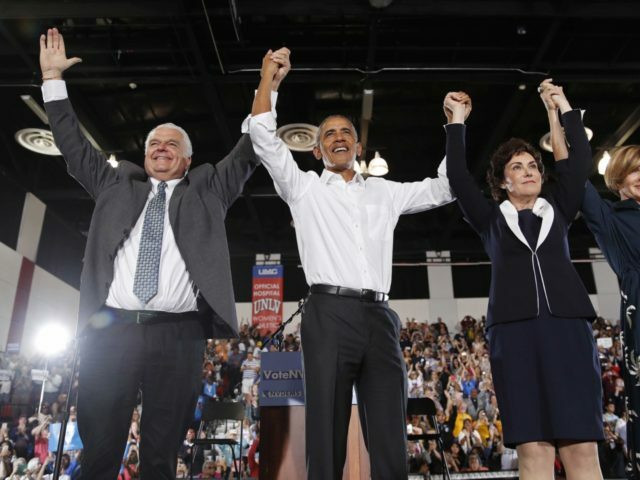 According to local Fox affiliate KVVU-TV, Obama “re-energized” Democrats to turn out for Sisolak, Rosen, and others in the midterm elections: ““Right now, we have a chance to restore some sanity to our politics,” he said.